Botanical Name :Cyperus Scariosus/ Rotundus Nutgrass. Common Names: Musta / Nagarmotha Extract. Our products are highly appreciated among the global clients for their immense health benefits. Our range of products include Essential oil, Health Ingredients, Herbal Extracts, Chinese Extract and other natural products, Caralluma Fimbriata Extract, Garcinia Cambogia, Saw Palmetto Extract Fatty Acid 25% , 45% centella Asiatic. Our products are refined and processed under our personal supervision. 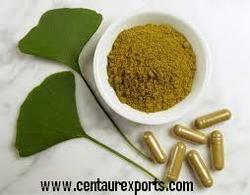 Our products are widely used in Cosmetic Industry, Nutraceutical Industry, Ayurvedic Industry and Health Industry. To make sure that the products are of the international quality standard our quality team thoroughly examines the products from every aspect. We use the superior packaging methods to make sure that the products do not depreciate in their quality or quantity during storage and transit. We are widely appreciated among our clients for the quality of our products and timely product delivery. Our organization team has great experience and knowledge about these natural products hence they are always willing to suggest the best to the client. We are mainly looking queries from USA, Canada, Brazil and Malaysia.